The only time a customer should be “checked out” is when they’re a guest at your establishment. When it comes to the digital world, however, your online audience should be “checked in” at all times. Since Google recently launched an all-new design for hotel search results, which enables users to select and view a hotel interface straight from their initial search, while the algorithm is “constantly changing“, it’s no longer enough to simply be listed on Trivago – in fact, it’s all about ‘personalization‘ now. In a recent report from Think with Google on ‘The future of travel’, a noteworthy 57% of travelers report that they would rather see travel brands “tailor their information based on personal preferences or past behaviours,” which in turn, capture intimate travel experiences. But, how? You don’t just tell your story with a mere ‘About Us’ page, instead, you show your story. By taking a holistic approach to your digital marketing strategy, you create an online brand so captivating that viewers are counting down the days until they’re your guests. 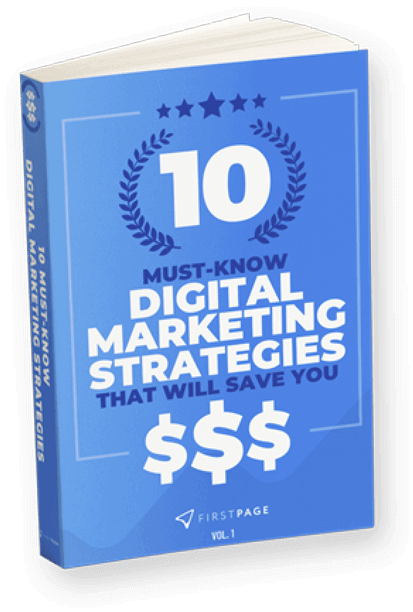 A prime digital marketing plan for a hotel comprises multi-platform storytelling, re-targeting, email marketing, an easily indexable and premium-quality website (Google will love you), and most certainly, both a presence and consistency across social media platforms, whereby the most captivating hotels will post at least 1-3 times every day. Here, we take a look at how 5 of the best international hotels utilise digital marketing to promote their hotel, increase brand awareness and of course, climb their way up the results (both online and offline). In a recent interview with Medium: The Hotel Stories, COMO shares their marketing strategy “is about brand building and presenting (themselves) as a whole lifestyle concept“. 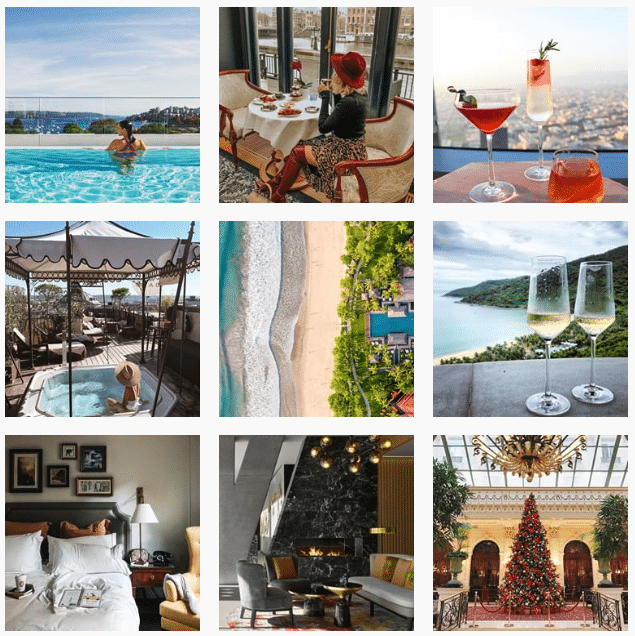 COMO attains colossal online success as a distinguished travel brand with 77.9k followers on Instagram alone. 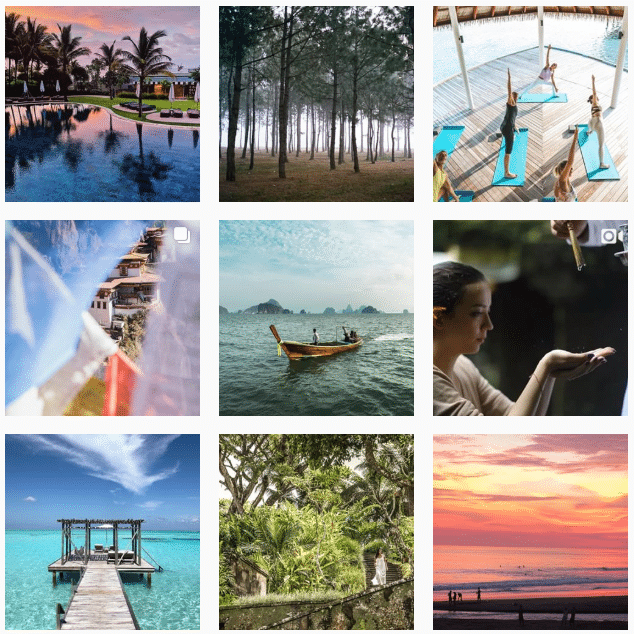 COMO’s overarching “holistic approach” to digital marketing is evident throughout their hypnotic travel stories, breathtaking visuals, and first-rate campaigns, which include: retargeting, email marketing, and the use of both organic and paid advertising. COMO prove that consistency is key, everywhere from social media to their alluring COMO Stories magazine. Did you know that a monumental 76% of travelers post their trips on social media? Moreover, 49% of consumers rely on social media influencers’ recommendations when making a purchase. 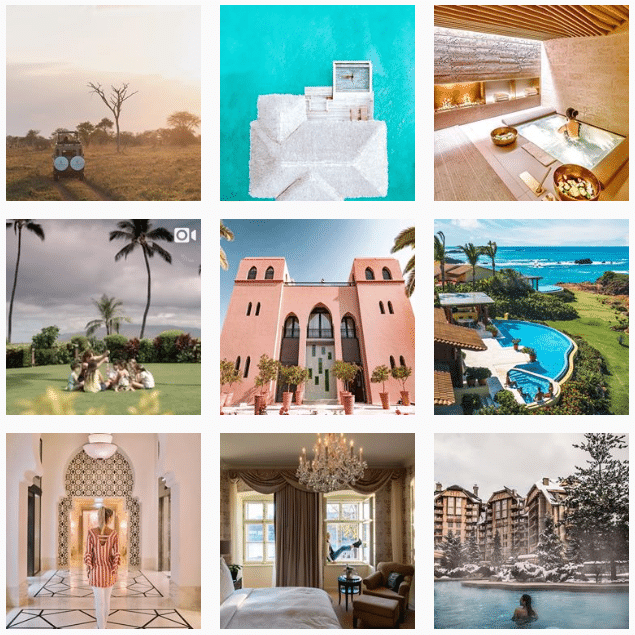 Taking advantage of this, comes InterContinental, who not only market content to perfection, but also capitalize from reposting and re-sharing influencers’ first-class travel experiences at their hotels. 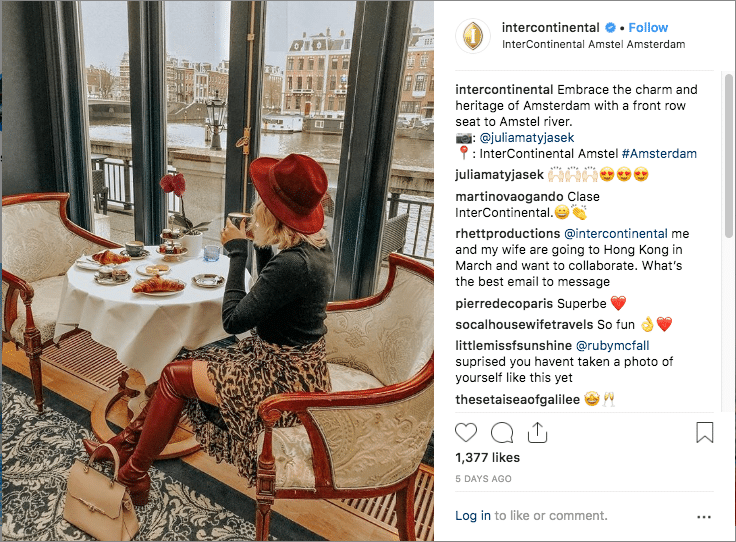 For example, InterContinental recently reposted the above image from Julia Matyjasek, a social media influencer based in Amsterdam (@juliamatyjasek) with more than 10k followers. 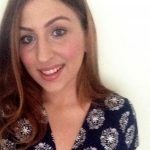 This is a paramount example of how brands may utilise influencer marketing to personalize their identity, create further relationships, spread awareness and unquestionably, motivate more sales. Established in 1960, Four Seasons Hotels and Resorts, otherwise simply known as ‘Four Seasons’, is an international luxury hospitality company, whose stellar reputation precedes itself. 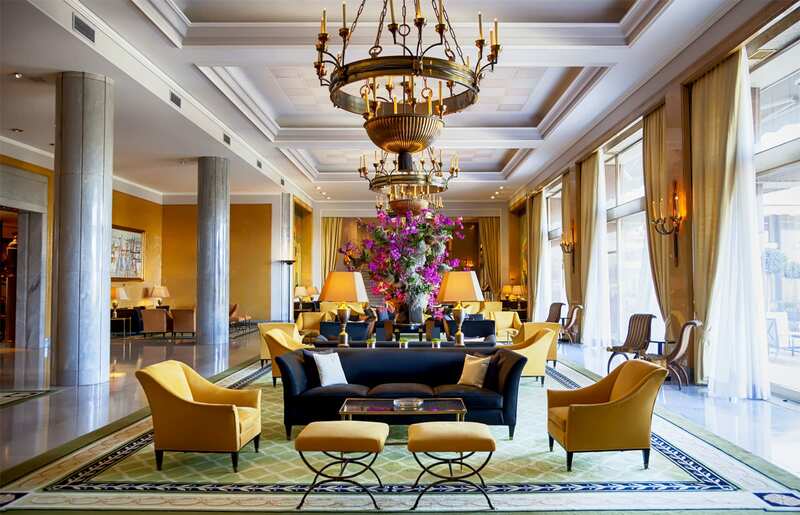 Just as their name resonates opulence and grandeur, so does their global marketing strategy for their countless hotels and resorts across the world. We brought together talented #FourSeasons Masters from around the world in September for #FourSeasonsPopDown Philadelphia, a celebration of artistry and imagination like none other, ahead of next year’s opening of @FSPhiladelphia. From giant floral art installations around the city by celebrity floral artist @jeffleatham, to a mesmerizing one-night-only event that saw the @bok_bar rooftop transformed into a surreal garden, #FourSeasonsPopDown Philadelphia was a love letter to the City of Brotherly Love. Watch to see where we’re popping down next and visit the link in our profile to discover more about #FourSeasonsPopDown Philadelphia. 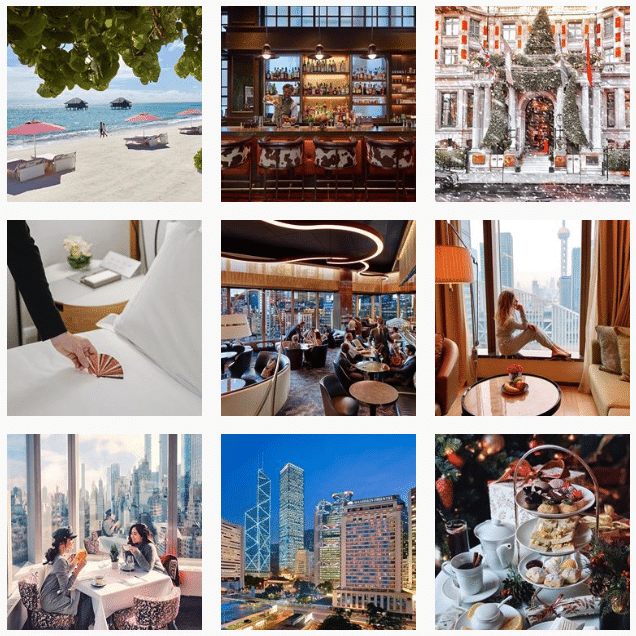 From their social media accounts, including an Instagram profile with 836k followers, and their visually-stimulating Four Seasons Magazine, down to their inviting pop-up event promotions, Four Seasons immaculately translate the very essence that sets them apart as an industry leader. How? It’s simple, they know who they are and which audience they’re speaking to – the hallmark of any successful digital marketing for hotels. Designed by renowned architect Andre Fu, The Upper House is one of Hong Kong’s most superior luxury hotels. The Upper House comprises 117 studios and suites, providing exhilarating skyline views while gifting guests with the ultimate accomodation. 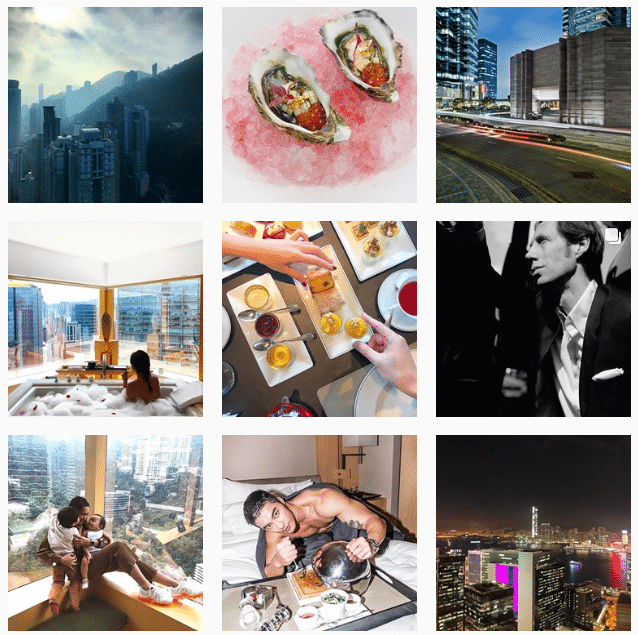 In seamless synchronization with their acclaimed establishment, The Upper House is marketed to pure prestige; unveiling the luxe travel experiences of guests and framing the hotel’s finest features to their 29.2k Instagram followers. Placing Primetime Emmy Award-Winning Actor, Rami Malek, as the face of their elite brand, at the same time as boosting their global ‘#ImAfan’ campaign, the Mandarin Oriental Hotel Group undoubtedly, execute the art of storytelling. In our previous blog, The Rise of Emotional Marketing: What You Need to Know, we discussed how emotional marketing has fast become the primary focus, whereby a visitor with an emotional bond is “8 times more likely to become a customer“. Not only does the Mandarin Oriental serve as an exemplary model of digital marketing for hotels to follow suit, but they also procure a meticulous combination of emotional marketing, paid advertising, social influencer marketing, and organic advertising, executed so well that viewers are provided with a truly immersive journey. Upcoming business trip? Whether you’re a frequent flyer or a seasonal traveler, discover 6 of the Best Apps to Ease Your Next Trip and attain the ultimate travel companion – sure to keep you ahead of business.